Running until April 15, a new art exhibition at Toronto’s OCAD University highlights how contemporary artists and designers look to the land, plants, flowers and trees as a means to imagine and conjure hope in the face of crises. Called The Sunshine Eaters, the exhibition provides a showcase for a diverse array of artists and designers — and botanists — to explore the complex relationships between the built and natural worlds. Curated by Lisa Deanne Smith, the exhibit features highly varied creations from artists that come from different cultural milieus and have distinct objectives and concerns with their work. The featured artists are Shary Boyle, Nick Cave, Robert Holmes, Jim Holyoak, Brian Jungen, Jessica Karuhanga, Alexandra Kehayoglou, Nina Leo and Moez Surani, Tony Matelli, Alanis Obomsawin, Ebony G. Patterson, and Winnie Truong, with biographies of each artist available via OCAD’s exhibition website, linked here. Inspired by themes in The Sunshine Eaters, storytellers share true, personal stories of nature as a symbol of hope. Part of the ongoing True Stories Toronto event series. Organized and hosted by Storytelling Coach Marsha (of YesYesMarsha.com). 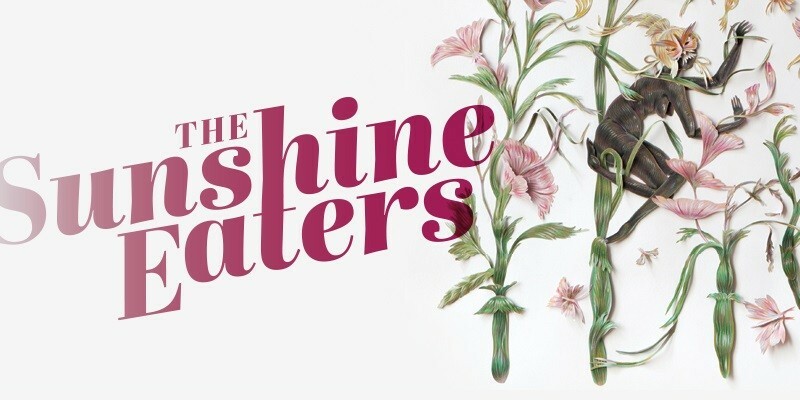 More information about The Sunshine Eaters is available via the OCAD exhibition website, while a full exhibition brochure can also be found here.